This is a super large Ice Cut Lollipop vase made by the Mdina glass studio. Within the clear glass casing is a tangled web of thick blue & brown ribbons with some yellow traces around the ribbons. It is know as an "Ice Cut" because one side has been polished into two sloped facets with a central ridge between them. 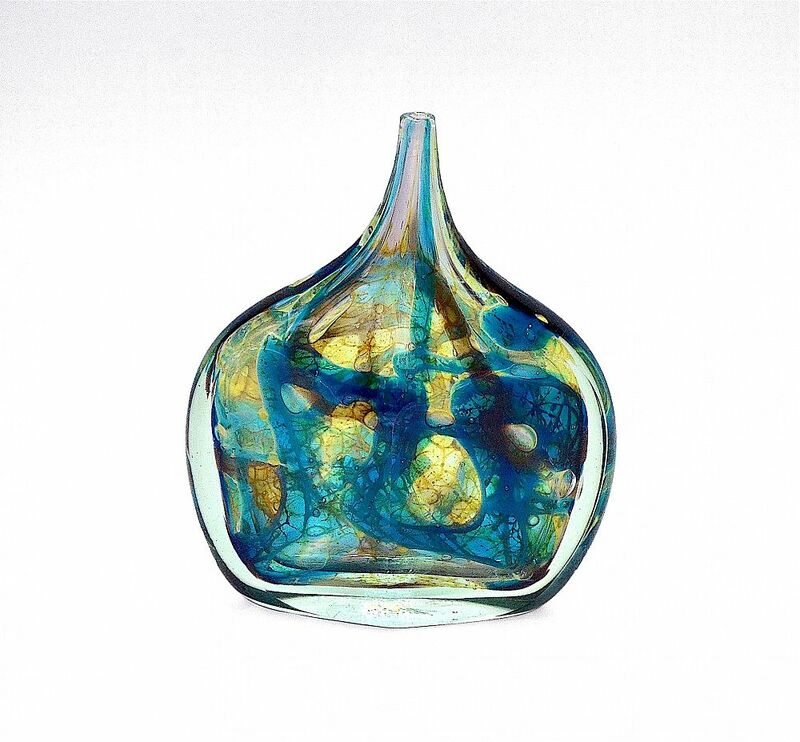 The base is signed "Mdina Glass 1973" and has a signature that is either Eric Dobson's or Joseph Said' - I have it on very good authority that their signatures can be very difficult to distinguish!